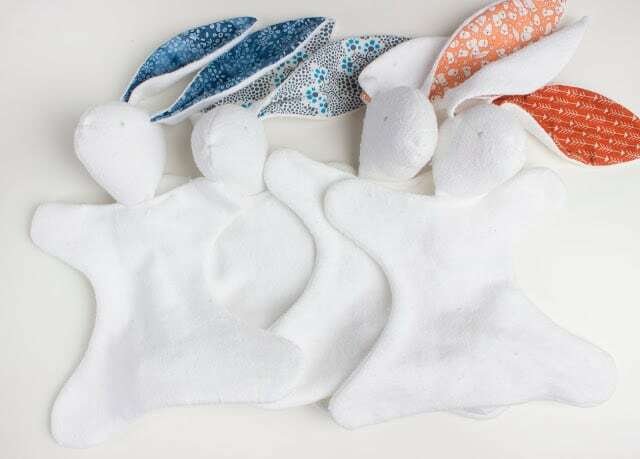 I’ve compiled a great round up of free baby lovey patterns and tutorials to sew. On my pinterest travels I come across heaps of free lovey patterns to crochet, but not many to sew so I thought it would be great to put all of the best free lovey patterns in one place for you. **This post may contain affiliate links, which means I may get a commission if you choose to click through and make a purchase. It doesn’t cost you any extra if you make a purchase and I sincerely thank you! The Knot Bunny Lovey is one of my recent tutorials. 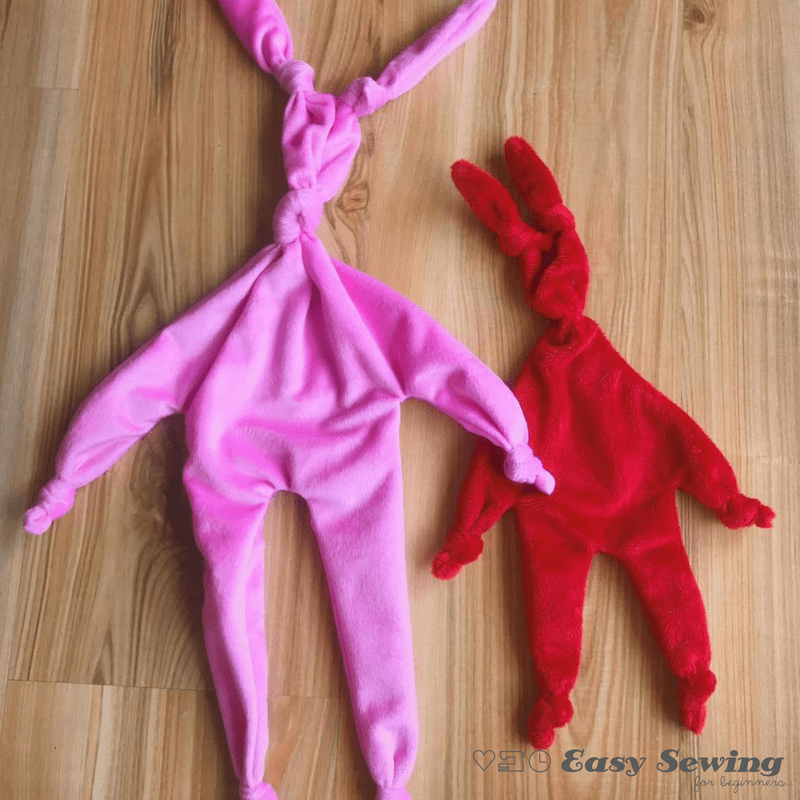 The mini red knot bunny you see in the photo above has a free pattern for you to download. The larger template version (pink in the photo above) comes with the full PDF purchase. You can see the full tutorial and video here! 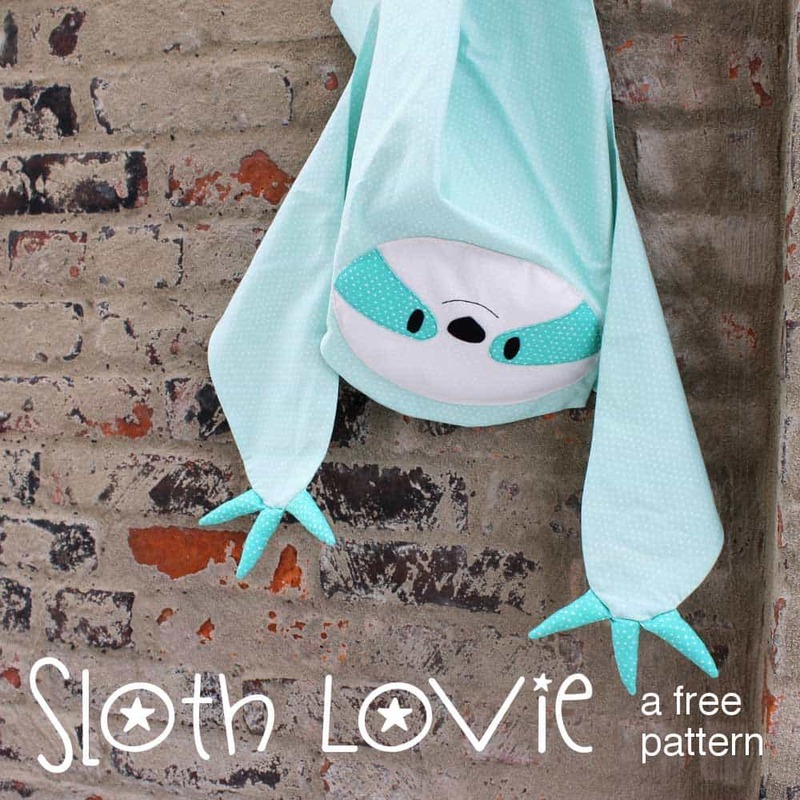 I love sloths and this pattern would make a perfect lovey! You will find all the instructions and the template on the downloadable PDF when you go here. Click on the pink box that says ‘Download Template’. You’ll see it just under the photo of the sloth lovies. 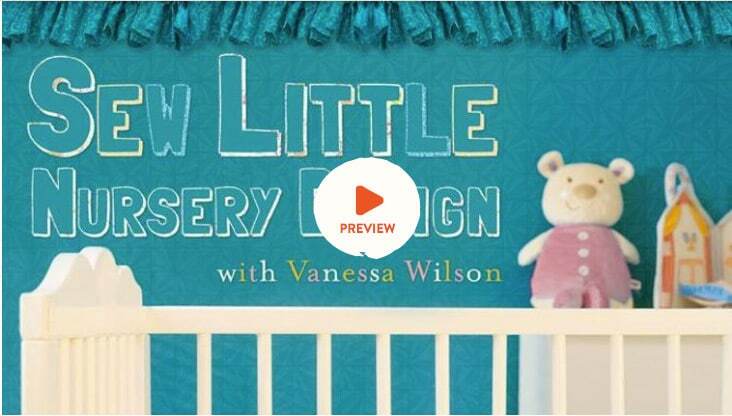 If you’re looking to make more gorgeous baby things for gifts or to even decorate your baby’s nursery then you might like this Craftsy video class – Sew Little Nursery Designs. The instructor will show you how to designs things from curtains to rocking chair cushions, all while learning great sewing techniques. This class was 50% off last time I checked so it would be worth having a look! 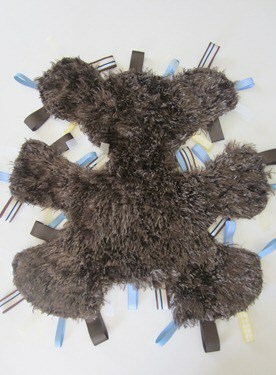 This teddy bear taggie lovey would be so cuddly and soft, making it a perfect lovey or comforter for little ones. A nice faux fur would be awesome for this lovey. The ribbons would also add that extra sensory experience. The pattern is available to download from the Craftsy Indie Designer Store here and you can find the tutorial here. This bunny lovey would be another great lovey pattern to try. The tutorial is available for free and instructions on how to get the pattern are over on the website. I love the simplicity of this doll lovey. You can find the tutorial here. 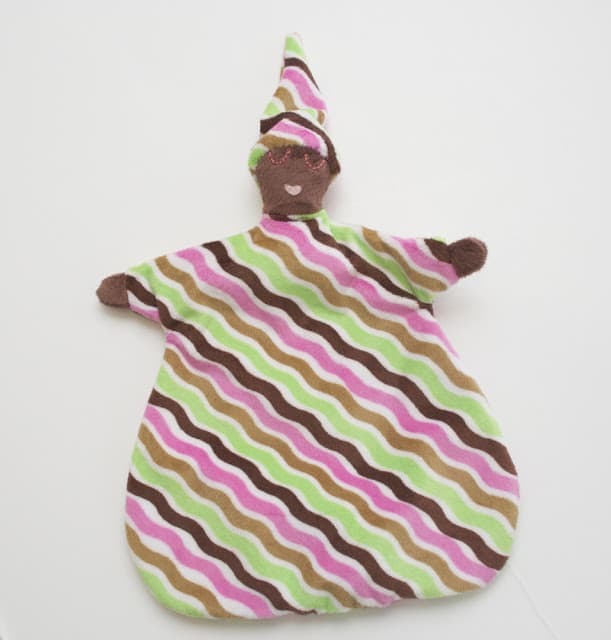 This cute little Woodlands Wall Hanging is one of the classes you’ll find over on Creativebug. 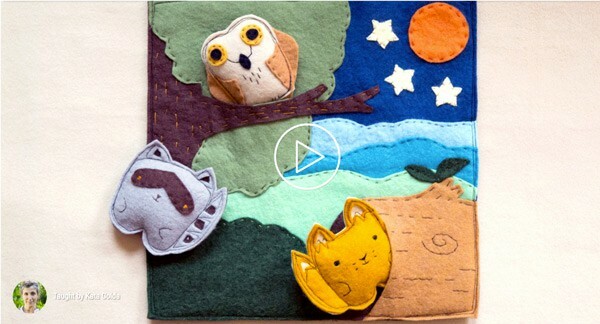 A great felt project that would be great for young child during imaginative play. Creativebug allows you to watch any of their classes for a monthly subscription fee. You then get to keep one class forever in your Creativebug Library. I love this about Creativebug. The hardest thing for me is choosing which classes I want to keep for life! So many great ones. Anyway, if you’d like to try Creativebug out and watch the class to make this Woodlands Wall Hanging you can do so with the FREE Trial here. 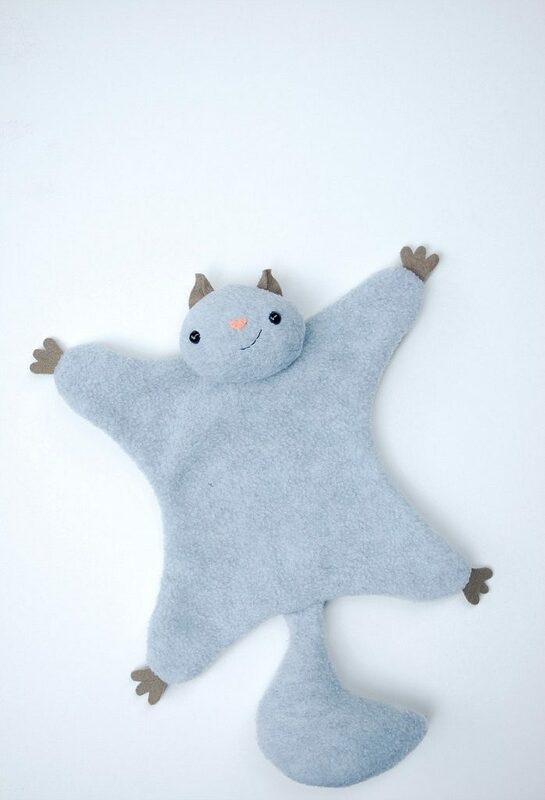 This flying squirrel lovey would be a great lovey as well. I can see the potential for this one to be turning into a cat or a dog too! This one using the ladder stitch technique to sew the head on. Such a useful stitch! 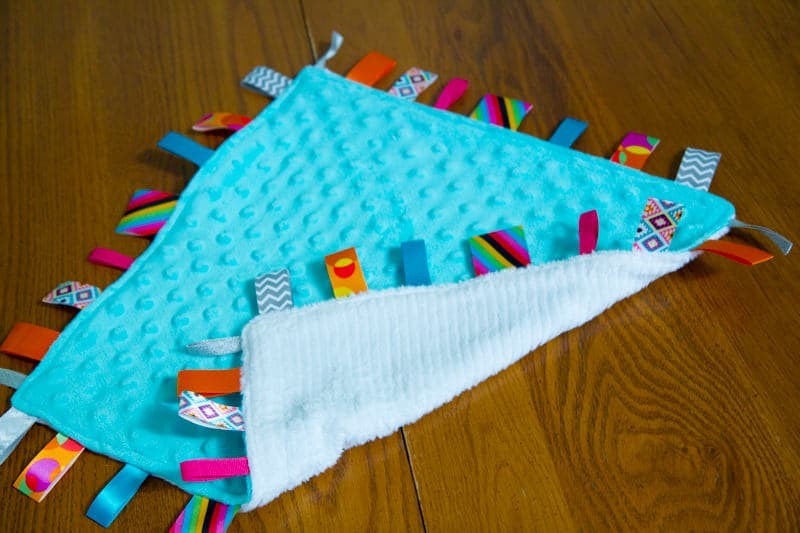 I’ve made a few of these taggie lovey blankets for my chidlren and as gifts for others, but I’ve never gotten around to making my own tutorial for how to make them. This tutorial goes through pretty much the same steps as I use to make them. 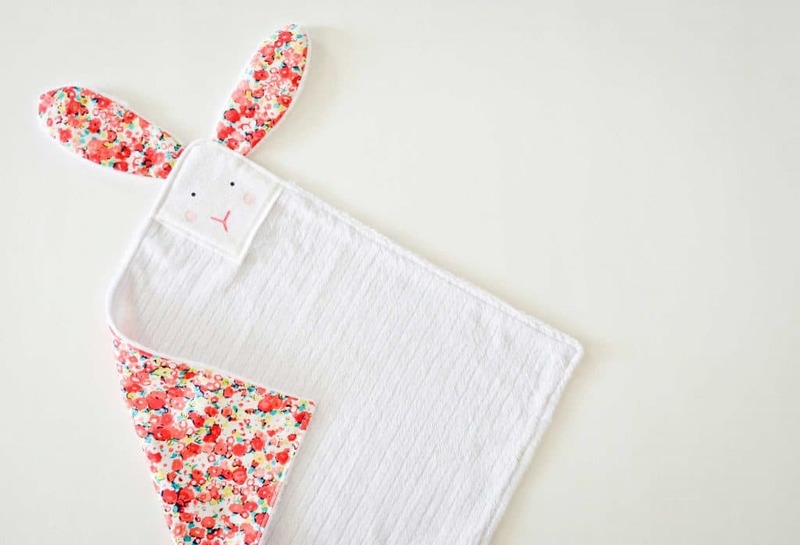 The square bunny lovey tutorial has to be one of the simplest lovies to sew, but it’s such a cute one! This tutorial comes with a free ear template to download. If you have young children in your life you know that dressing up is one of those magical activity where you can be anything you want to be. 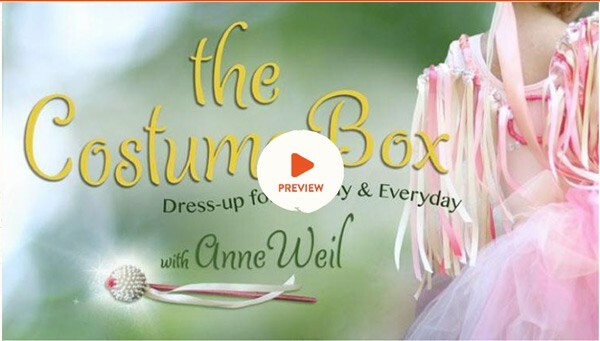 This Craftsy Video Class – The Costume Box, will help you create creative and imaginative dress ups for the little princes and princesses in your life. This class was also 50% off last time I checked so watch the preview video to see if it’s for you! Another sloth lovey, but this time it’s a sleepy one. Awww! 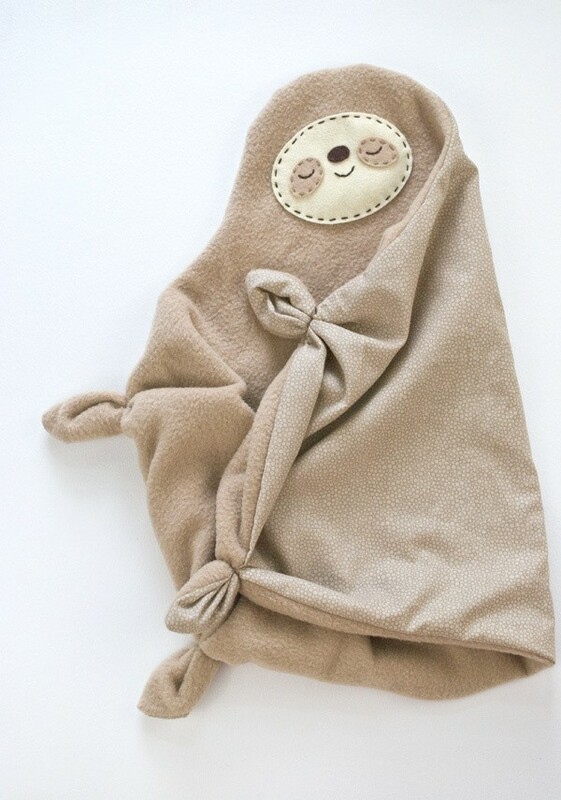 This sloth lovey tutorial has a free template to download and would be perfect made from a cuddle fleece. 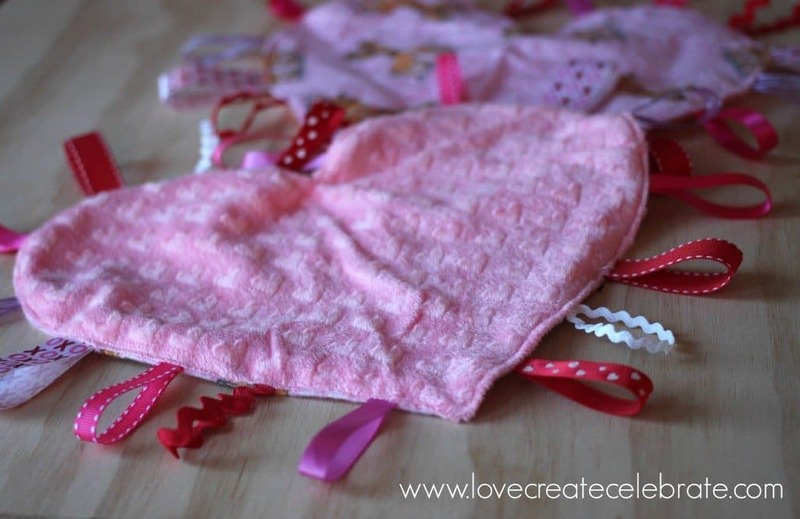 This heart taggie lovey tutorial is very similar to the square taggie comforter above, but I just love the heart embossed minky!! I’ve never seen it before. Ok, so this elephant softie isn’t quite a flat lovey like the rest of them, but if you made this elephant and then turned it out and topstitched around it, no stuffing, then it would make the perfect lovey! You can find the tutorial here and it also comes with a downloadable PDF template. 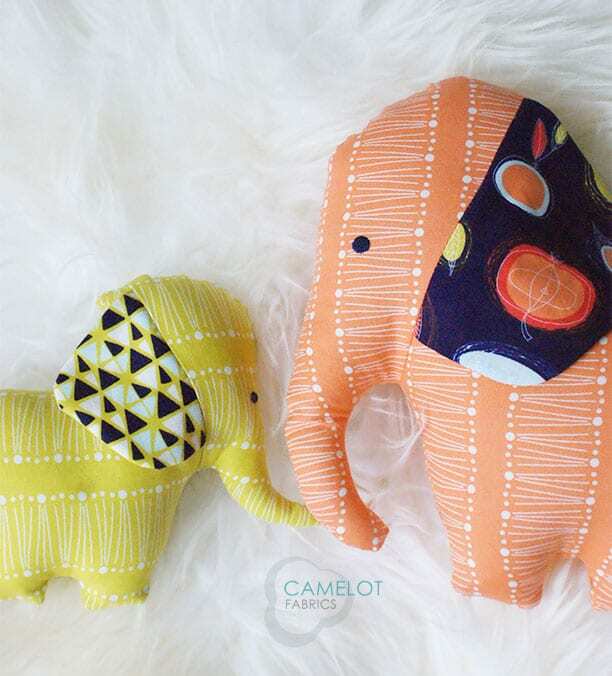 Have you seen another great free lovey tutorial to sew? If so, let me know in the comments down below and I’ll happily check it out.